The Battle of Saragarhi took place on September 12, 1897 between 21 Sikh soldiers led by Havildar Ishar Singh and over 10,000 Afghan tribesmen and warriors. Saragarhi fort, located in the border district of Kohat (in what is Pakistan today) on the Samana Mountain range, was built between two other forts, Lockhart and Gulistan, so as to be able to function as a communication post between the two as as these forts were not visible to each other. The brave Sikh warriors of the 36th Sikhs Battalion, all awardees of the Indian Order of Merit, died valiantly in action while keeping their attackers at bay long enough through the day so that they couldn’t move on to take over the other two forts also as intended and what’s more with reinforcements, the British were able to not just safeguard Lockhart and Gulistan but also claim Saragarhi back. Kesari is supposedly based on the events of their fight to the death. The battle of Saragarhi is an incredible story of extreme gallantry but Kesari does this battle little justice. What was essentially a fight between the British (the Sikhs represented them) and Afghans over a fort (or forts) is turned into a ‘filmi’ story of personal honour of a soldier who invokes Mughal invasions of the past and a hatred for the British for reminding us we are cowards and how they’ve made us slaves. And then there are the other issues included like our brave battalion having to fight a revenge seeking jihad loving mullah among the barbarian Taliban like invaders. Sadly, an iconic battle regarded as one of the best ever last-stands by military historians gets diluted by its nod to religion, nationalism, and so-called patriotism as we see today, starting off with the not-so-subtle title of the film itself. For those not in the know, ‘kesari’ means saffron colour and while in the film, Akshay Kumar refers to it as the colour of his turban and blood, there is no doubt as to what it actually alludes to. Leave alone the colored ideology, if one were to critically look at the making of Kesari, it’s writing and filming leaves much to be be desired. 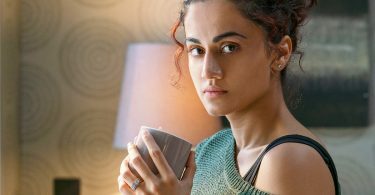 Still, the film is likely to strike gold at the box office – and it has started well – as for our cinema going audiences, it has never been the the quality of cinematic storytelling that has mattered. Sometimes – and especially so in today’s times – just taking the issue on hand and giving it a nationalist tweak is enough. And no one knows this better than Akshay Kumar. That said, the film does come to life in some of the battle sequences even if we have to deal with personal moments and a song or two that bring the battle (and the narrative) to a grinding halt. Akshay Kumar is fine enough as the Braveheart leader of the battalion, Ishar Singh, as he yet again shows himself to be Bollywood’s biggest patriot, perhaps even outdoing the original Mr Bharat, Manoj Kumar. While the other characters have been given their little back stories, typical though some of them are, one fails to get close to them or empathise with them. Thus the film fails to give you that emotional wallop with their deaths even s it throws in typical Bollywood tropes. The supporting cast playing the band of soldiers is adequate as is Parineeti Chopra as Akshay’s wife who mostly shows up in imaginary conversations he has with her. Technically, the film is rather average at best for being an A1 star vehicle with the VFX work rather tacky. The pace and narrative flow is sluggish and dull as it sets up for the final fight to the death and doesn’t particularly engage you, while the typical overblown background score tries desperately to arouse emotions of patriotism, love and sacrifice for the motherland. 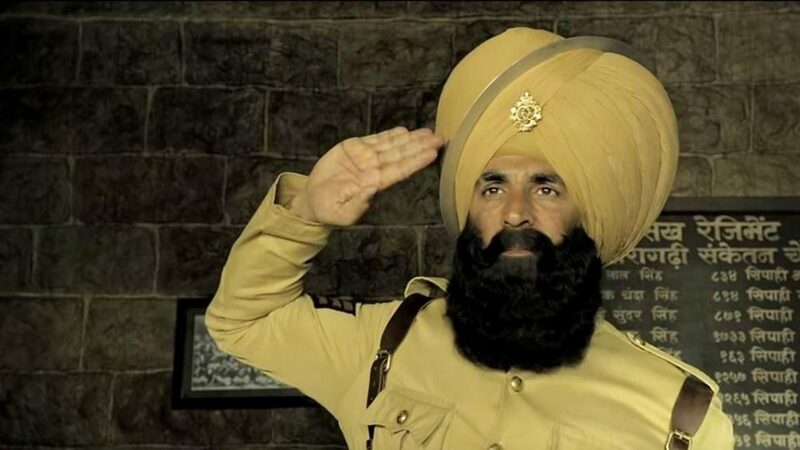 While Kesari fails on the filmmaking front, the largely prevalent mood of the country just before the General Elections in April, May later this year just might provide it the big boost it needs to score at the box office. The first three days’ domestic collections in excess of 55 crore nett. certainly seem to indicate so. So in that’s sense the film has done all it set out to do as far as its makers and leading man are concerned and nothing else matters. After all, isn’t box office king?! Did someone say content? Really?